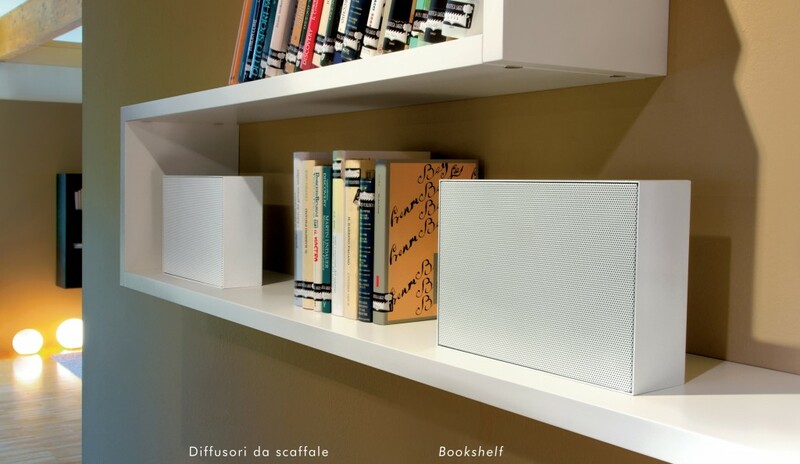 Our On-wall speakers or the “bookshelf” series , can be placed wherever you like. Vertical, horizontal or camouflaged in the middle of the library. 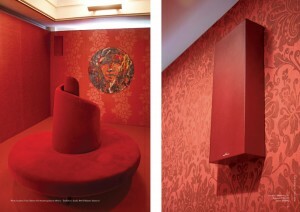 These loudspeakers can be applied on all types of flat surfaces. These speakers can be hung on all types of flat surfaces.These speaker have been created to combine design and ease of installation. The elegance and compactness of the metal chassis makes this product unique. There are dozens of finishes and a wide range of colors: for this reason you can customize and make your on-wall speaker as you prefer. The series SNW210 offers a footprint of only 39 mm in depth that allows this speaker to have a low visual impact and at the same an eye-catching design. With the “Bookshelf” series, you have all the freedom to place your Garvan speaker wherever you want ! This variant is easy to install and position. On the back has two practical chrome metal connectors that allow you to connect the speakers to the system in few of seconds. The perfect camouflage with stylish decoration.